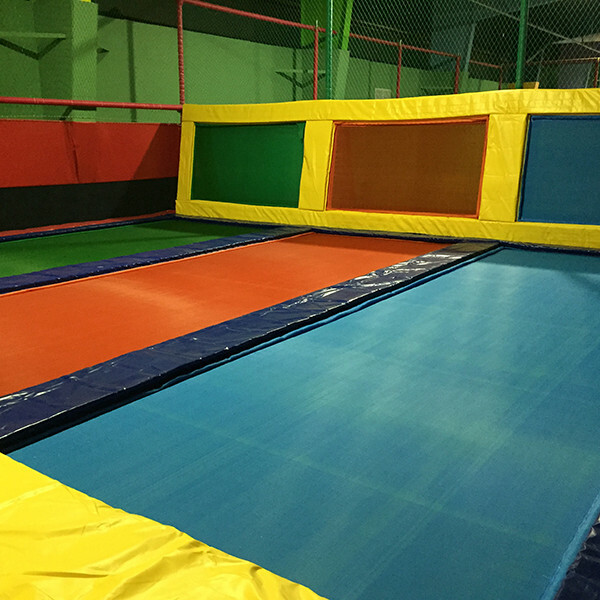 See how much air you can get on our pro trampolines. If you think you can get air on the trampolines in your friend’s backyard, wait till you get a load of this. You can just bounce and feel the air on you, or become the kick flipping martial artist you have always wanted to be. Don’t expect to be able to pull off the best tricks on your first few bounces; it takes some time for your body to get used to the awesome feeling of being several feet in the air. Learn what it feels like to be Superman as you soar above the other bouncers on the zip line. 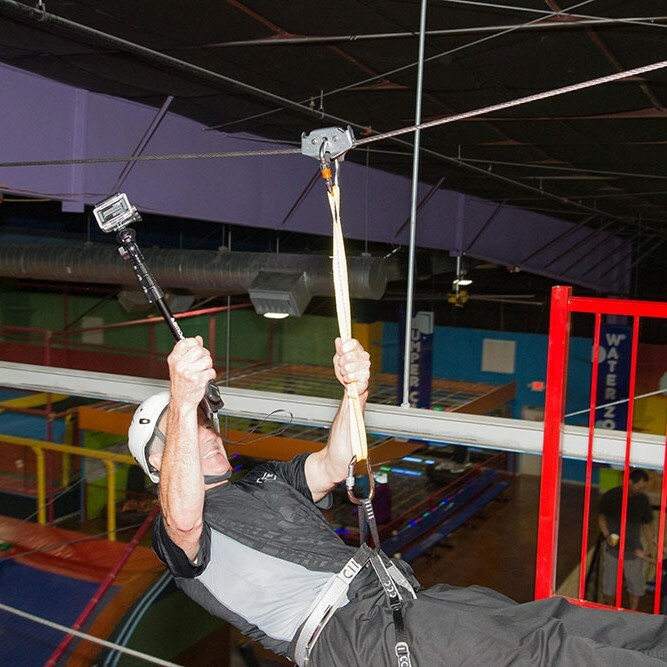 Our indoor zip line provides you a thrilling experience in a safe environment. Some might say that zip lining may not be complete without some nature below it, but we think zip lining over people bouncing in the air is just as cool. We are sure you will agree once you feel like you can fly. 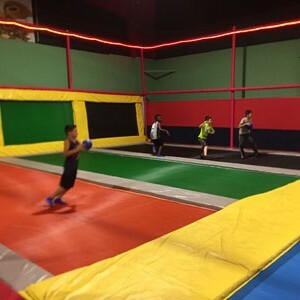 If you thought dodge ball was fun before, wait till you play dodge ball on trampolines. A whole new dimension of dodge ball opens up. 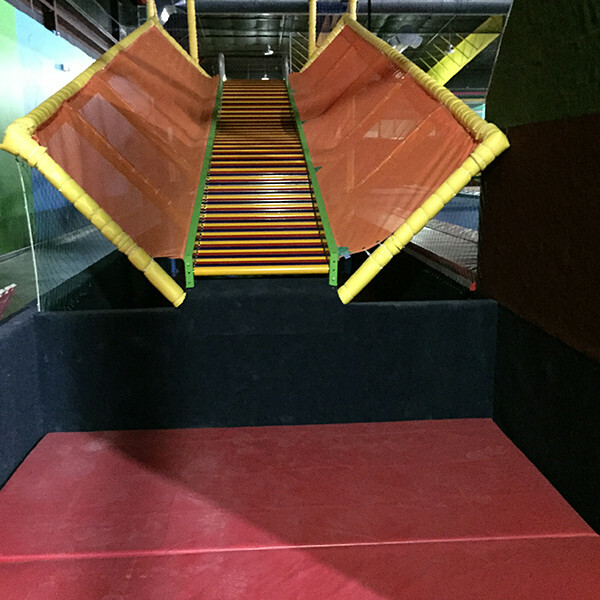 Normally, you dodge by going left, right, or ducking, but with trampolines you can now go up as well. Time your bounce perfectly and see the dodged ball go below you. Combine the bouncing with a trick for a dodge ball hit cooler than anything else you have ever seen. With the bounces you will be able to pull off with our trampolines, you’re going to feel like Nike will name their next line of shoes after you. 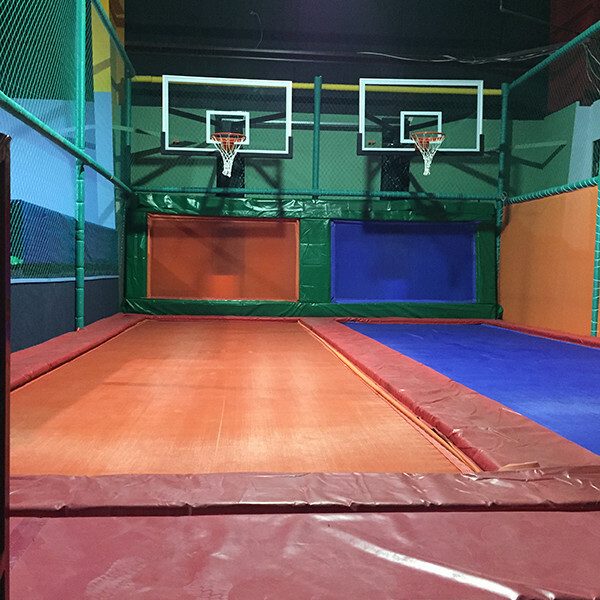 Our net is higher because we expect you to be soaring in the air while you dunk. If you are a basketball player then it would be one of your best fantasies coming true as you jump to superhuman heights and dunk from above. It’s too bad that falling hurts us – otherwise we would bounce all the time. In the Foam Zone this is exactly what you get to do; forget about the ground and just bounce as much as you want. 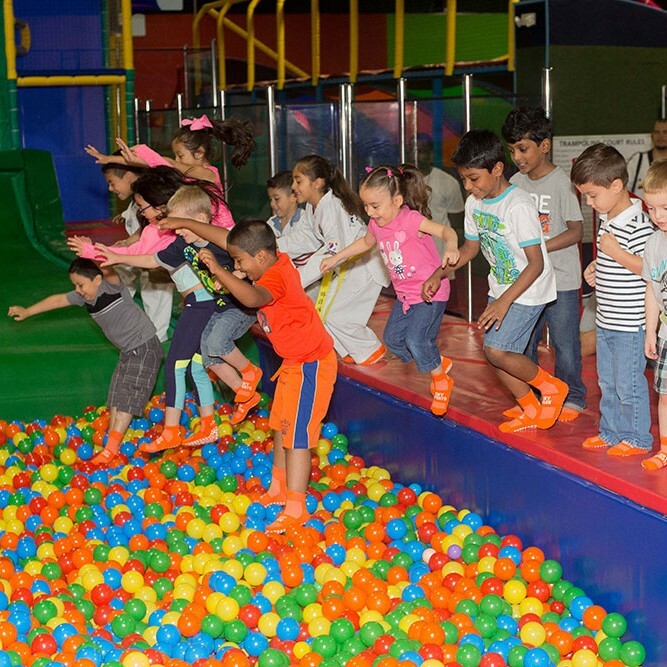 The Foam Zone is covered in foam which means you don’t have to worry about falling. Falling itself becomes a fun thing. 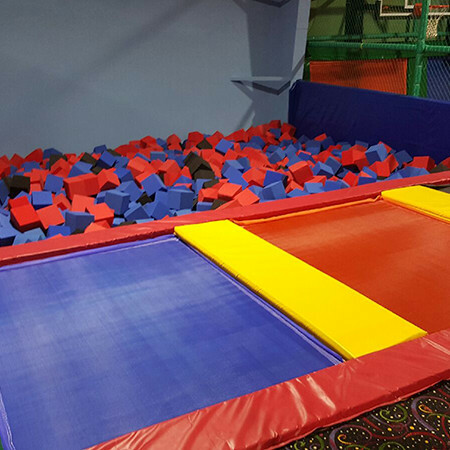 The foam zone is where you can truly get creative, and try out all those flips and tricks you imagined. If your kids like hide and seek (and let’s be honest, what kid doesn’t?) then they won’t believe how fun it can be inside a kid’s maze. The maze is perfectly safe and we can always help the kids if needed, which makes this a truly fun maze for kids to get lost in. Telling kids to go hide inside a maze is like a cheat code for happiness. Kids get to have fun in our rides made especially for them. Have them ride the mini Viking ride so they can feel like a historic warrior. The Viking ship also makes for a great photo of the children if you have them strike the right pose. You can have them ride the rocket ship and feel like an astronaut. Kids love space and all space related activities and they love riding the rocket ship. $5/ride Mini Viking or Spaceship. Woah, woah, woah, did we just up the ante on trampolines? We sure did. When you are on the trampoline the only thing you have to control are your limbs so your balance is fine. With our bubble suit even that goes out of the window. Learn what it feels like to truly be weightless as you do tricks crazier than ever before, because now you don’t worry about where you fall. 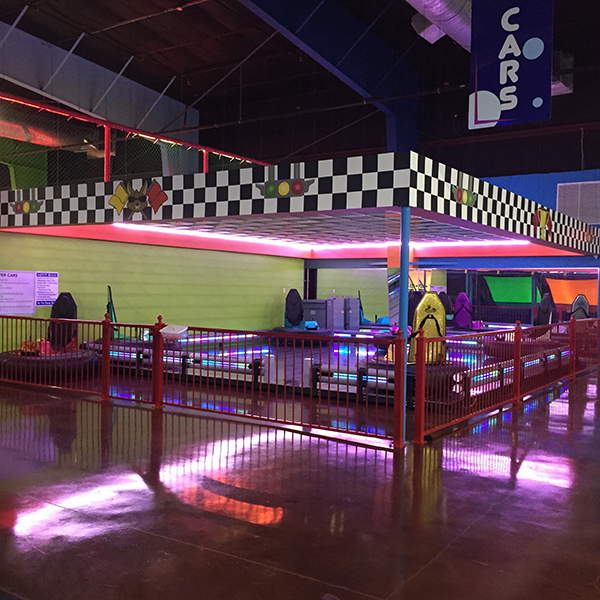 Come have some thrilling fun in our bumper cars. We are connoisseurs of bumper cars and this is the only time we get to bump other people with our vehicles and we don’t take this opportunity lightly. If you jump into our bumper cars, you better be fast and furious. When was the last time you walked on water? 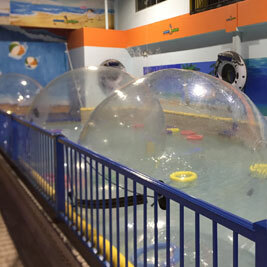 Hop inside our hamster balls and frolick around on top of the water. 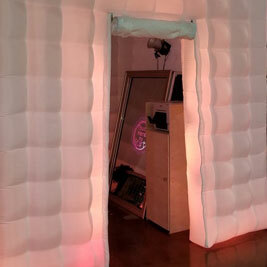 This is a truly unique experience that allows you to have fun with other people in a completely safe environment. Do you want to put your balancing and ninja skills to the test? 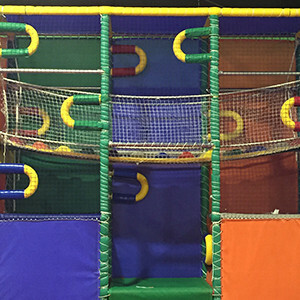 Well look no further than our premium Bounce ropes course! Be ready to twist, turn, run and climb your way through to the finish line! 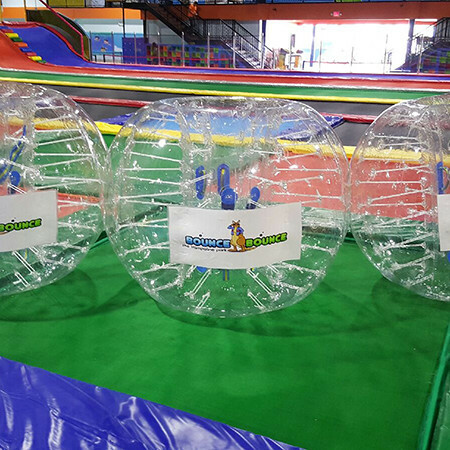 See our wide variety of games which we arrange for families. No matter what your age, you will be able to have a great time with your whole family with these games. Who loves soccer??? 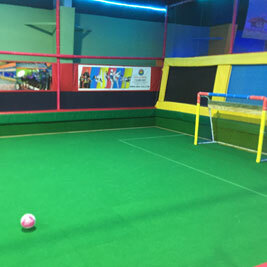 Enjoy nice indoor temperatures as you rock your soccer skills! Anyone can come and enjoy this area, even mom and dad! Do you like playing games and rock climbing? Well have we got a surprise for you! We have combined the two to bring you the Augmented Climbing Wall! 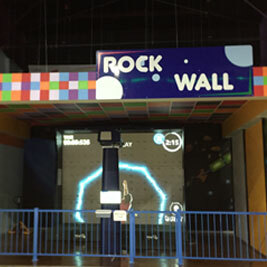 At this wall you can play a game by using your rock climbing skills! Put your gaming and climbing skills to the test! Seeking a thrill ride? Our Mini Viking Ride might look small, but it definitely will give you a thrill! 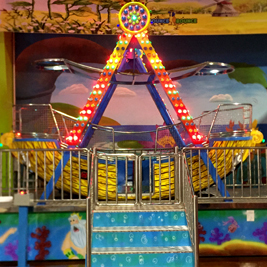 This ride is fun for all ages from toddlers to parents! Do you love taking selfies? Well we have an entire area just for you and your friends to come, pick a prop and take selfies together!!! 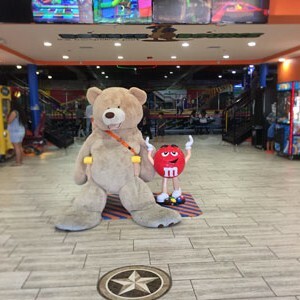 © 2019 BounceBounce TTP - All Rights Reserved. SEO and Website by: K Business Solutions Inc.
© 2019 BounceBounce TTP - All Rights Reserved. SEO and Website by: K Business Solutions Inc.